Mr. MA Min Xiang, Director General, Yunnan Academy of Scientific and Technological Innovation, along with his team Mr. XU Bin Director General, Department of Science and Technology (DOST), Yunnan Province Mr. SU Zhe Director, Department of Science and Technology (DOST), Yunnan Province, Mr. WANG Lixin Director, Department of Science and Technology (DOST), Yunnan Province, Ms. LUO Weiwei Assistant Research Fellow, Director, Department of Science and Technology (DOST), Yunnan Province, and Mr. WEI Hongjiang Professor, Yunnan Agricultural University. 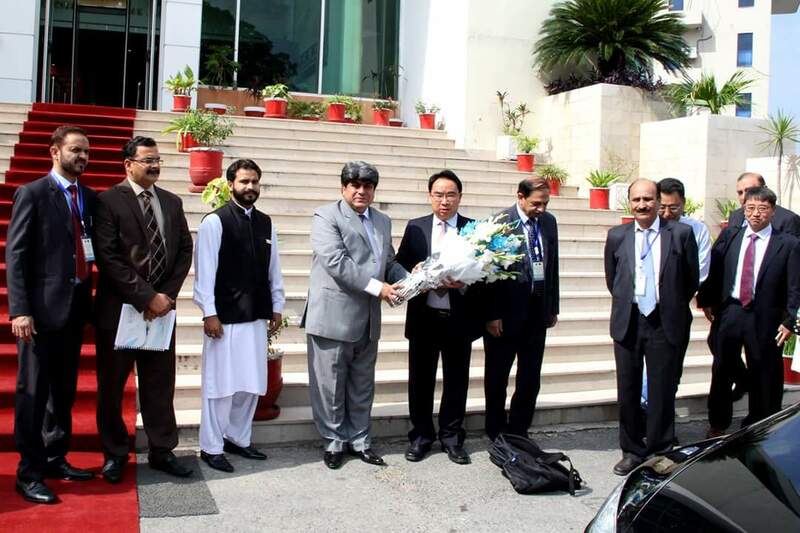 Chairman PCSIR Dr. Shahzad Alam welcomed the honorable delegates. Mr. MA Min Xiang, Director General, YASTI, briefed that the Yunan Academy of Science & Technology Innovation is a comprehensive Public Research Institute affiliated to the department of Science and Technology of Yunan Province having almost similar activities to that of PCSIR and in this connection, YASTI is a comprehensive public research institute affiliated to the Department of Science and Technology of Yunnan Province. Dr. Sahazad Alam, Chairman PCSIR briefed the delegation about PCSIR’s Laboratories services. Dr. Shazad Alam explained that PCSIR and YASTI can collaborate in six areas which include the establishment of joint Laboratory in Gwadar, Baluchistan. 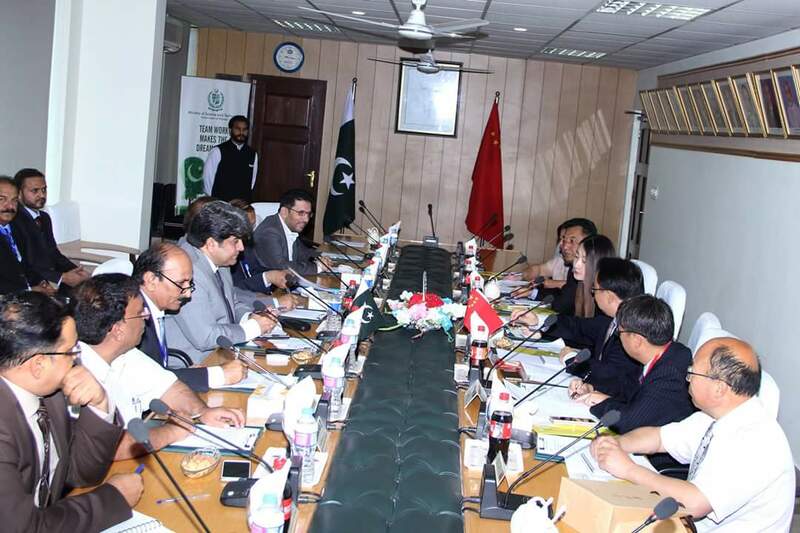 He further added that the role of PCSIR, would be provision of analytical and calibration services to all Chinese companies working in Gwadar, CPEC.Other five proposal includes, collaboration in nanotechnology, biotechnology, material sciences, natural recourses, agriculture and human resources, he added. MA Min Xiang, Director General, YASTI, suggested the formation of research group on common problems like health, enviornmnet and climate. Exchange of scientific and technological information would be made through jointly by PCSIR and YASTI. Shahzad Alam said that the partnership between both parties strength the process of technology transfer which reinforce the local industry of Pakistan and help to boost the country’s economy. MA Min Xiang, Director General, YASTI , added that In future both the organization will jointly make 50 Research Laboratories.